If we consider the current statistics of Derbyshire and Yorkshire, we must keep ahead Derbyshire in that case. Both teams have participated in the ongoing season of Royal London One Day Cup 2018 where the performance of Derbyshire is considerably better than Yorkshire. Both teams have played five matches each in the season of Royal London Cup where Derbyshire won three times and Yorkshire won twice times so far. Though, one match of team Yorkshire was abandoned due to rain. Now, in the 5th match of both teams, they faced against each other where Yorkshire got their 2nd victory. 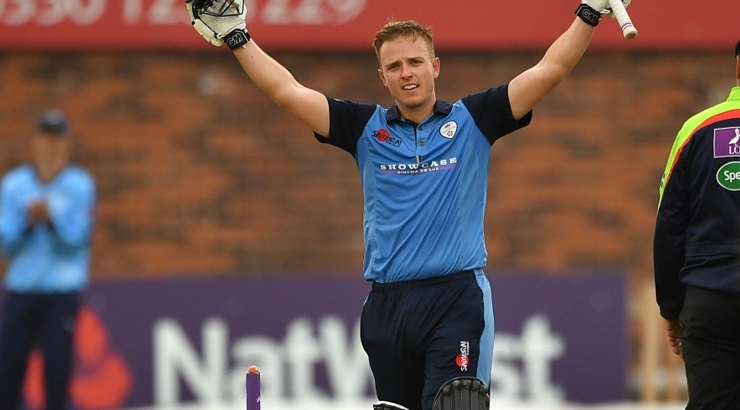 In the match, Ben Slater’s century could not help Derbyshire which was so disappointing. So, after the five matches considering the North group statistics, Derbyshire is in good position than Yorkshire. They just have to keep this performance continue. Royal London One Day Cup is one of the first class cricket competition in England and Wales where England and Wales Cricket Board or ECB used to organise it in every year. Since 2014, the tournament has come to the current form though earlier it’s format was not like this. Besides, it was known by different names earlier. It was one of the oldest cricket competition in England as well. In every season there are total eighteen teams used to take part here. The teams are divided into two groups where one group is North and other group is known as South. Derbyshire and Yorkshire are taking part in the competition from North groupo. And their last head to head battle took place in 30th May, 2018 at County Ground, Derby. At the home venue, Derbyshire could not manage a victory. In the match, Yorkshire won the toss and decided to bowl first. However, rain delayed the game and so, over per side was reduced to 24. Derbyshire came to bat first. Ben Slater and captain Billy started the innings. Openers added 68 runs where Billy was gone with 21 runs so far. Later, Wayne came up but added only 20 runs. They have played full 24 overs and lost six wickets totally. Ben Slater scored highest 109 runs for the team and remain not out. Based on his century, team Derbyshire scored 189 runs in 24 overs. Yorkshire started to chase the score. The match was so contesting. Opener Tom scored highest 81 runs for Yorkshire. Finally in 23.5 overs they brought the most desiring victory at their camp. They lost total eight wickets so far.